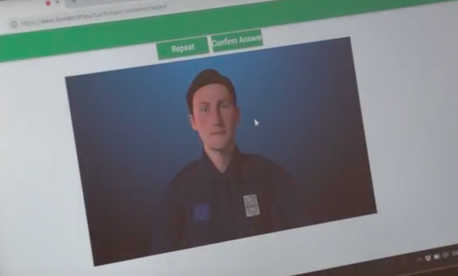 Trump’s advice about rock-throwing migrants; Europe tests AI border guards; Is US redefining ‘denuclearization’? ; A lesson from Saruman; And a bit more. President Trump wants U.S. troops to shoot migrants who throw stones at them near the Mexican border. That’s the latest from a president who wants perhaps more than anything this election season to be seen as tough on all things immigration-related. Why? “This is an invasion,” said the president — who has been using that word more and more as the midterm elections draw closer — “and nobody is even questioning that.” Except lots of folks and outlets have and are — ABC News, the Washington Post, then the Post again with a bit of history of invoking “invasion,” Vox, and others. BTW: Invoking fears of an “invasion” is “a classic strategy that goes back to 19th-century nativist thinking,” said Greg Chen, of the American Immigration Lawyers Association, to the Associated Press. Question: Is shooting migrants who toss rocks legal? Maybe, if it’s a big enough rock. 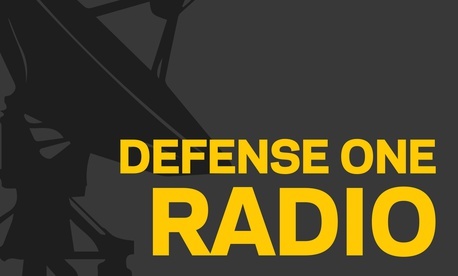 But the claim would need to pass a pretty high bar, including “there [being] a reasonable belief that the subject of such force poses an imminent threat of death or serious bodily harm to a person,” according to Defense Department regulations (PDF, pg. 83). See also CBP regs (PDF) requiring belief that the rock “poses an imminent danger of serious physical injury or death.” That “or” does quite a bit of work. 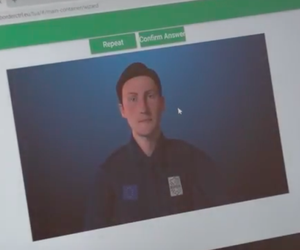 European Countries to Test AI Border Guards // Patrick Tucker: A new program replaces human border guards with artificially intelligent avatars to watch for deception in travelers. It follows similar efforts that go back a decade. The Lesson of Saruman // Eliot A. Cohen, The Atlantic: Tolkien has a warning to erstwhile #NeverTrumpers who are now choosing to ally with power rather than hold to their values. Global Business Brief // Marcus Weisgerber: What comes after Project Maven? ; Lessons from a 1987 magazine; Missile-defense success; and a bit more. Why Haven’t Terrorists Hit the US with a Devastating Cyber Attack? // Kathy Gilsinan, The Atlantic: National-security experts have been warning about it for 15 years. There are a few theories. Welcome to this Friday edition of The D Brief by Ben Watson and Bradley Peniston. If you find this useful, please consider forwarding it to a friend or colleague. On this day 30 years ago, one of the first internet-spread computer worms — the Morris Worm — was unleashed upon the world from MIT by a graduate student from Cornell. The goal was to measure how large the internet was; but things went awry very quickly. Russia just dissed Afghan President Ashraf Ghani by not inviting him to peace talks that will include the Taliban and former President Hamid Karzai, Reuters reports this morning. Update: Moscow is moving ahead with the meeting anyway. Other countries that say they’ll send reps to the Moscow meeting: China, Iran, Pakistan, Tajikistan, Uzbekistan and Turkmenistan. Read on, here. After 14 months now, Trump’s Afghanistan war strategy “is working,” U.S. Central Command’s Gen. Joseph Votel told Defense One’s Kevin Baron in a phone conversation somewhere over Turkmenistan on Monday. 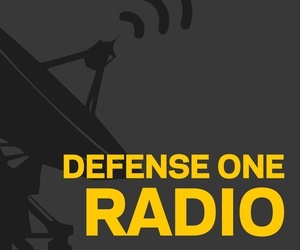 Hear Votel make his case — that the strategy is actually bringing the Taliban to the peace table — while Baron lays out some of the context around Votel’s remarks in this week’s episode of Defense One Radio — posting today shortly after The D Brief. A conversation with Paul Scharre and Lauren Fish about exosuits, futuristic body armor, and other gadgets you just might find on soldiers 20 and 30 years from now. Subscribe on Google Play, iTunes, Stitcher, or wherever you listen to podcasts. ICYMI: The U.S. State Department is changing its expectations on North Korea denuclearizing, The Wall Street Journal’s Jonathan Cheng noticed on Thursday — after reviewing the daily presser transcript from Wednesday. Speaking of the State Department, its spokeswoman — former Fox News personality Heather Nauert — has been offered Nikki Haley’s job as President Trump’s Ambassador to the UN, Fox News’s John Roberts reported Thursday morning. For the record, NPR’s media correspondent David Folkenflick reminded us shortly after Roberts’s tweet that President Trump’s cabinet officials include former Fox commentators John Bolton (as National Security Adviser), Ben Carson (Secretary of Housing and Urban Development) and Elaine Chao (Secretary of Transportation). BTW: John Bolton said national debt is a “threat to society” and Pentagon spending is about to “flatten out,” Defense News reported off a Bolton speaking appearance Wednesday in Washington. The temporary remedy: Those 5 percent cuts across all departments for the 2020 fiscal budget that POTUS45 teased in mid-October. The debt: America is expected to add $425 billion to the pile in the fourth quarter of this year, “the most for any fourth quarter since 2008, at the height of the financial crisis,” according to The Wall Street Journal. That $425 billion would then “bring total debt issuance in 2018 to $1.338 trillion…That would be the highest annual debt issuance since $1.586 trillion in 2010, when the U.S. economy was still crawling out of a recession.” More on all that, here. And finally: Found! The wreckage of USS Bonhomme Richard, off of Britain’s Yorkshire coast. On Sept. 23, 1779, John Paul Jones set a high standard for the young U.S. Navy, laying his outgunned former merchant ship alongside the Royal Navy’s Serapis and responding to a call to surrender with the immortal words: “I have not yet begun to fight!” Jones and his men swarmed onto Serapis and prevailed — but the cannon-riddled Bonhomme Richard sank the following day. Latter-day attempts to find the wreck, including the U.S. Navy’s own 2011 effort with the salvage ship USNS Grasp, were unsuccessful. Now a pair of British historians say they’ve found it — and that divers have retrieved artifacts that prove it. “From the finds and identifiable evidence, combined with the descriptions of the battle and both ships logs, we are convinced this is indeed the famous ship.” Read on, here. Ep. 27: CENTCOM's Gen. Votel; Exosuits and super soldiers; Weaponizing social media and more.